At Lakeside Dental Cosmetic & Family Dentistry in Sicklerville & Voorhees we are offer dental implants to improve our patients oral health and smile. Our Sicklerville & Voorhees dental office has implant specialists who can improve our patients overall health, while helping them gain the confidence that comes from a well-functioning smile that looks good and feels natural. Dental implants placed by our expert implant dentist might be the right solution for you, we encourage you to contact us to schedule an initial consultation to see if you are a candidate for dental implants. An accident, injury, or disease can cause tooth loss. Having an incomplete smile may damage your self esteem and cause oral health problems. Without a replacement tooth, the remaining teeth shift and the bone can start to deteriorate. Dental implants can replace missing teeth and allow patients to lead the full, active lives they deserve. 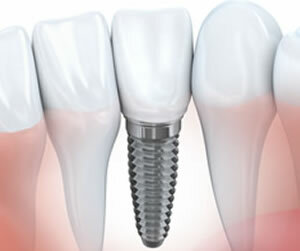 A dental implant is an artificial tooth root which acts as an anchor for replacement teeth. Shaped like a screw, it is surgically placed into the jawbone to secure a replacement tooth or bridge in place. Stable and permanent, implants do not rely on neighboring teeth for support. They are an ideal tooth replacement procedure because they look and feel like natural teeth. Studies show that dental implants have a 95 percent success rate in most cases. Implants are great for patients who are unable to wear dentures. Instead, the dentist will place the implant directly into the jawbone to support permanently cemented bridges. Implants can be made from several different types of metallic and bone-like ceramic materials that are compatible with body tissue. When surgically anchored into the jawbone, the implant fuses with living bone in a process known as “osseointegration”. After your mouth heals, usually in three to six months, your doctor will place a permanent crown over the post to complete your smile restoration. A missing tooth leaves a gap in your smile, which can make you feel self conscious about your appearance. As well, even one lost tooth can damage your oral health by causing other oral health problems. Dental implants can replace one tooth or the whole mouth full, giving you back a solid, healthy smile. For successful implant placement, you need to be in good overall health, have good dental health, and sufficient bone structure. Your dentist will perform a full evaluation to see if dental implants would fit your personal situation. Treat your implants like you would your natural teeth. Brush at least twice a day, floss regularly, and schedule routine checkups with the dentist. Following these steps will make for successful implant therapy and a gorgeous smile. If you are not a candidate for dental implants to replace all your teeth, your dentist may recommend implant-supported dentures, which will create a more secure situation with your dental appliance. With implant-supported dentures, several titanium posts are placed in your jaw bone so that the denture can snap on to the implants, reducing slippage and improving comfort. Because each case is unique, it is impossible to estimate the cost of implants until you meet with your dentist. After a complete exam, your doctor will explain the findings and review treatment options, which will include the cost of the implants. Sicklerville Dentist. 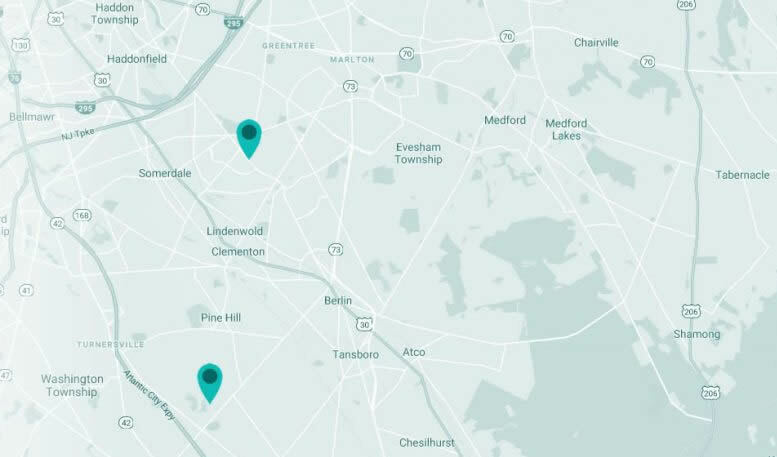 Dorothy Drain DMD provides Dental Implants, Snap On Smiles, Lumineers, Childrens Dentist, Dental Hygiene, Same Day Dental Emergency, Dental Insurance to the following locations: Williamston, NJ, Berlin, NJ, Glouster, NJ, Berlin, NJ.